The G3500 is a portable automatic battery charger and maintainer for both 6V and 12V lead-acid and lithium-ion batteries. 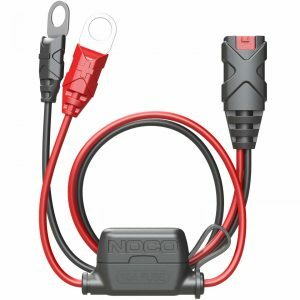 Designed for charging a Car, Boat, RV, SUV, or Diesel Truck, as well as, Motorcycles, ATVs, UTVs, and Lawn and Garden equipment. It also can be used as a battery maintainer to keep both starter and deep-cycle batteries fully charged. And it monitors battery activity for safe and efficient charging without any overcharge and complete with a built-in battery desulfator to rejuvenate underperforming and sulfated batteries.. Seven battery chargers in one. 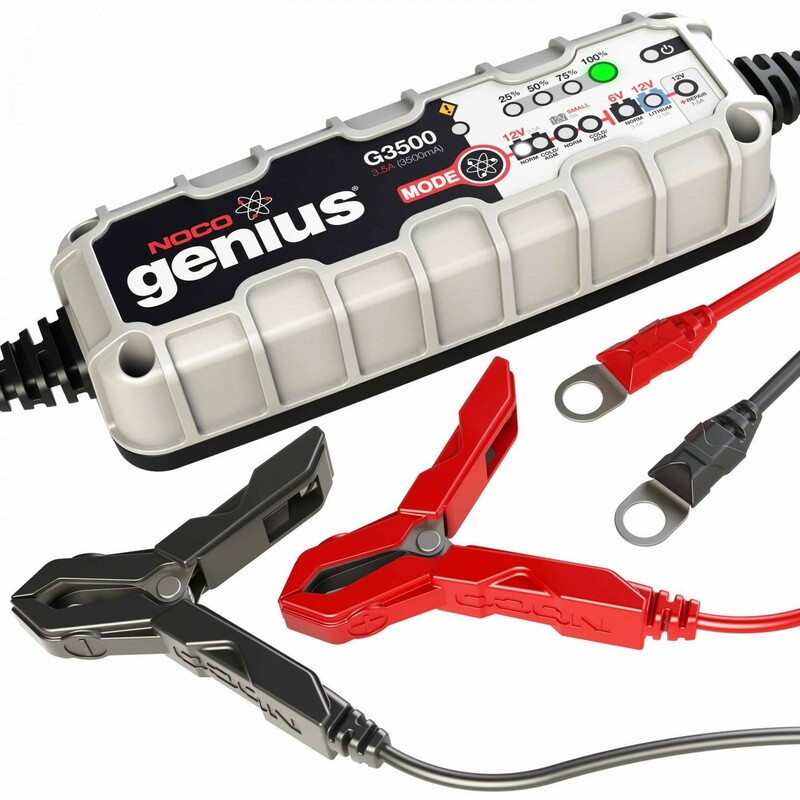 Other brands require a separate battery charger for 12V charging, for AGM batteries, for 6V charging, for cold conditions, for lithium-ion batteries, and yet another for battery desulfation. With our versatile multi-purpose battery chargers, as your needs and vehicles change, your charger won’t. With a simple push of a button, you’ll have the power to switch between various charging modes within one, complete battery charger. 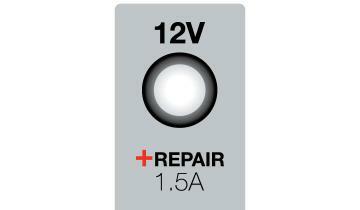 And it’s equipped with a progressive repair method for recovering heavily sulfated and weak 12-volt batteries. It’s time to retire your grandpa’s battery charger. Our next generation smart battery chargers utilize the latest advancements in battery charging technology. These switch-mode battery chargers were built on a high-frequency and high-efficiency platform, which converts energy 30,000 times faster than traditional automotive battery chargers. It’s this efficient use of electricity that makes our chargers compact, lightweight, and incredibly portable. Our chargers minimize energy consumption and are compliant with California Energy Commission regulations. Safe to leave connected with zero overcharging. 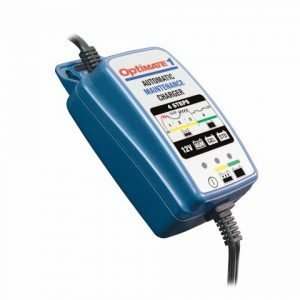 Most manual, automatic or semi-automatic battery chargers continuously trickle charge batteries. Traditional chargers are susceptible to overcharge, thus limiting battery life. 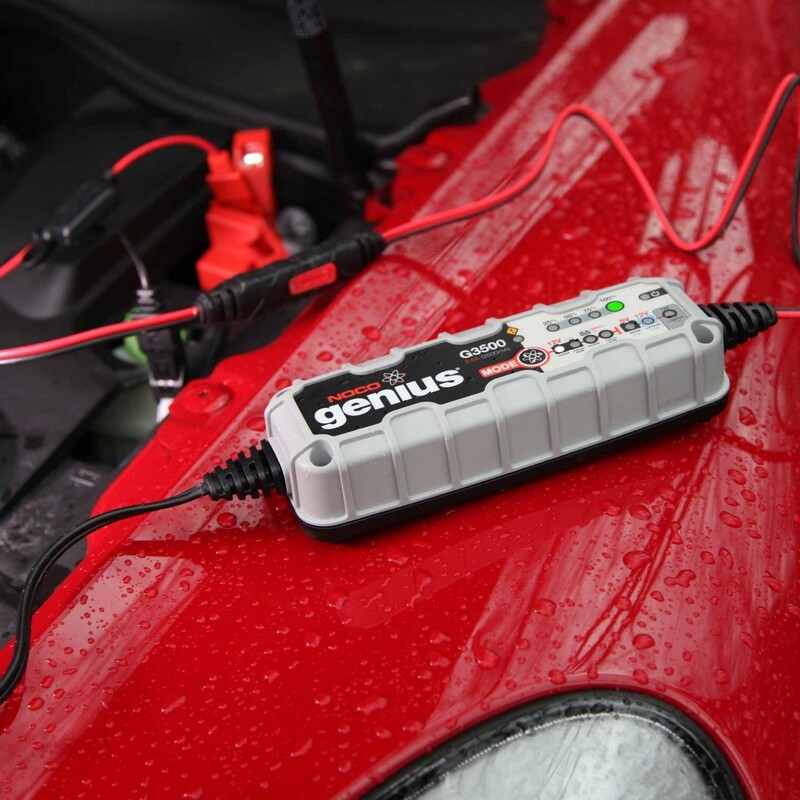 Our intelligent battery maintenance technology monitors battery activity, and only begins charging when needed. This system allows for continuous operation without user intervention, and zero risk of overcharging your battery. 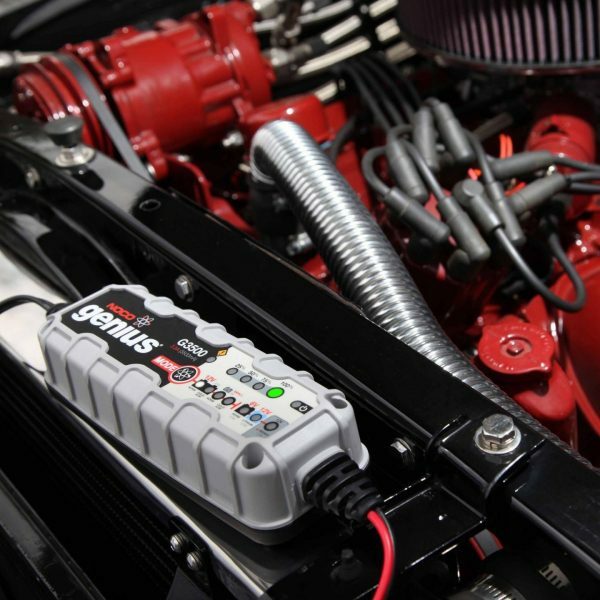 Charge batteries directly from the 12-volt port. 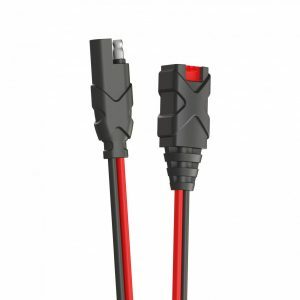 CANbus electrical systems found on BMW, Ducati, Triumph and Harley-Davidson motorcycles disable the 12-volt charging port when the ignition is off. Recharging requires the ignition to be on, or direct connection to the battery. With CANbus enabled technology, our chargers send a unique voltage signal that automatically opens, and allows charging through the 12-volt accessory port. Plug-in, set and forget. 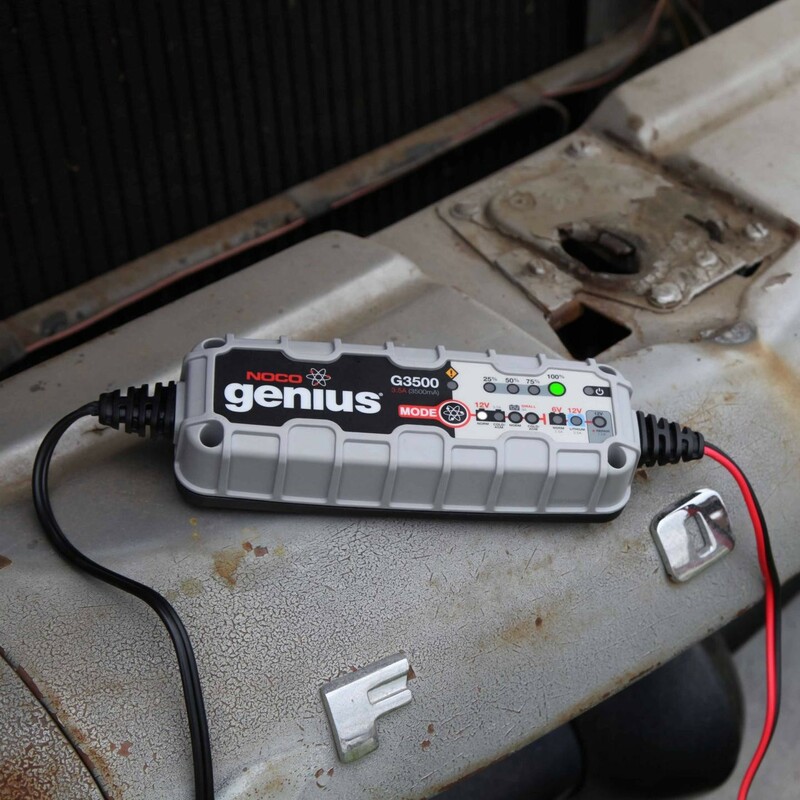 It’s no wonder Genius is the ultimate battery maintenance charger. Quickly connect and disconnect the battery charger when needed. It remembers the last charging mode used, and automatically resumes charging after disconnection or loss of power. 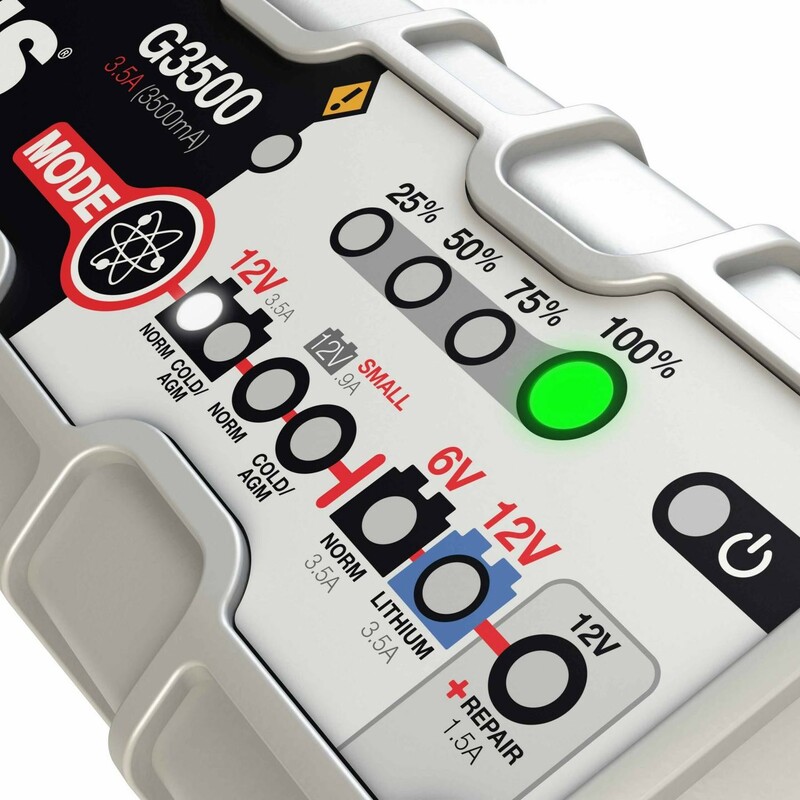 The G3500 keeps any battery fully charged without supervision. Smart battery chargers can be frustrating. It won’t simply begin charging if it detects a weak or damaged battery, or force charging if it detects an unsafe or abnormal charging condition. 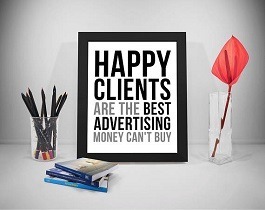 However, prevention is just one aspect. Understanding and finding a solution is just as critical. Welcome to Advanced Diagnostics, which analyzes battery feedback and display a particular error pattern if a problem is detected. Each flash pattern tells you what’s wrong, and how to quickly fix it. 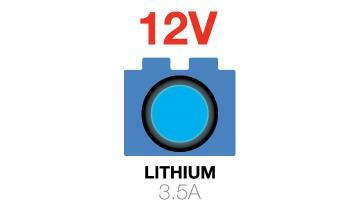 Single Flash: Battery will not hold a charge and should be checked by a professional. Double Flash: Possible battery short, and should be verified by a professional. Triple Flash: Battery voltage is too high for the selected charge mode. Double check the battery matches the charge mode. 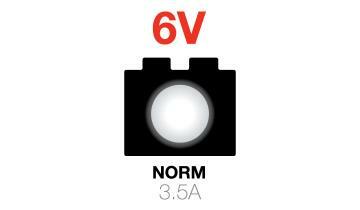 Error LED Solid Red: Reverse polarity. Reverse the connections to the battery. Standby LED Solid Orange: Battery voltage is too low for the battery charger to detect the battery. Battery Charging vs. Battery Maintenance. Selecting the proper battery charger depends on your needs. 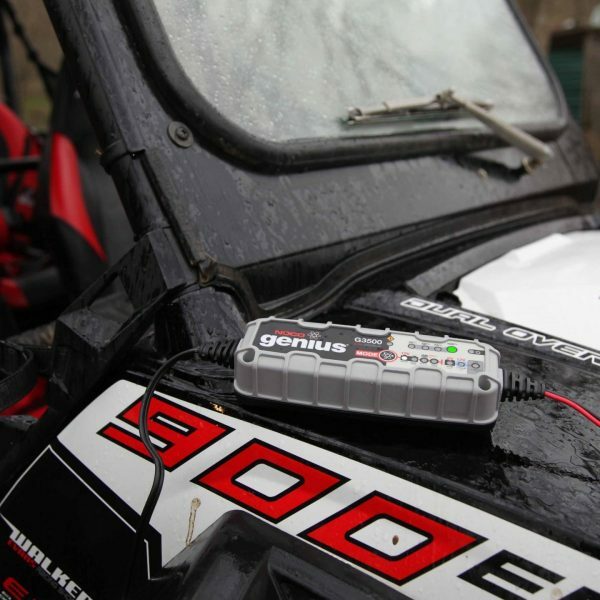 Do you need to recharge a dead battery entirely, or just keep a battery at full charge? Battery charging means you need to recharge a dead battery fully, whereas battery maintenance requires a mere trickle charge. Most battery chargers perform both functions, but understanding their limits and the amount of time to recharge depends on the size of the battery and vehicle. 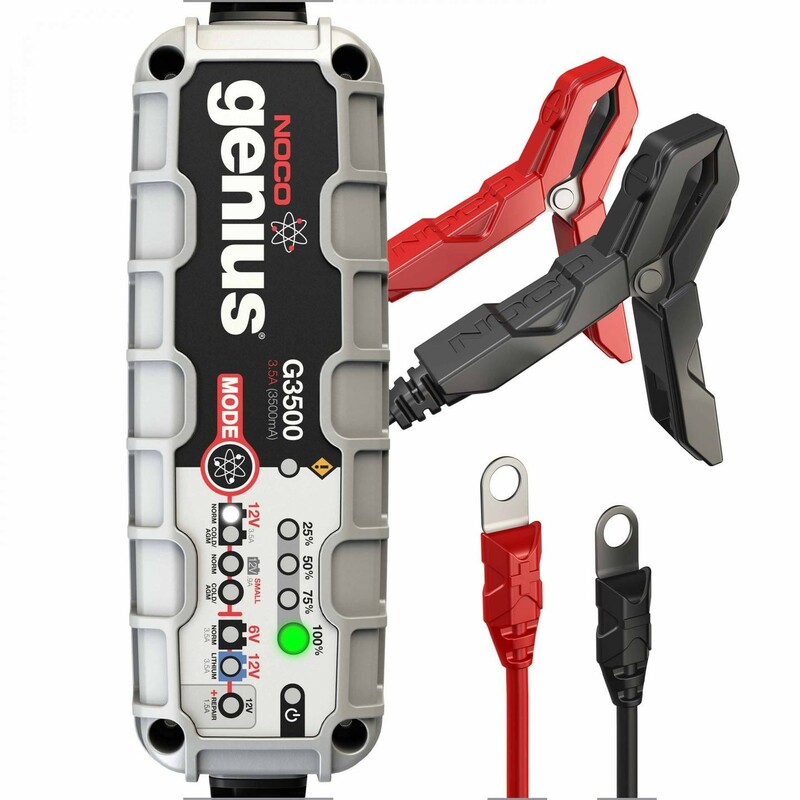 The G3500 is designed for charging smaller applications, like a motorcycle, ATV, snowmobile, or lawn and gardening equipment. It’s also a perfect battery maintainer for a car, boat, RV, or truck. The charging time chart not only helps you determine how long it will take to recharge, but also its limits between battery charging and battery maintenance. 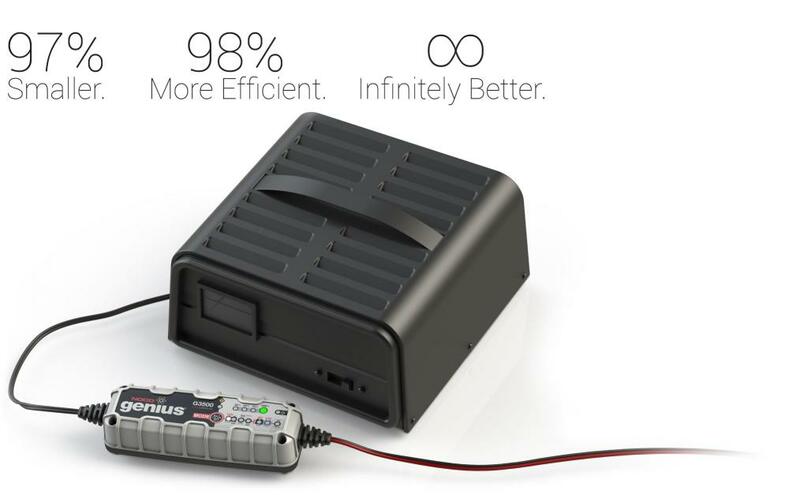 Compact, yet powerful battery charger. A mix of electrical engineering and industrial design creates a powerful battery charger in a tiny footprint. It uses high-frequency switch-mode technology to efficiently convert A/C power into safe D/C power for battery charging. The G3500’s onboard microcomputer precisely controls the charging to minimize power loss to create an incredibly compact form factor. 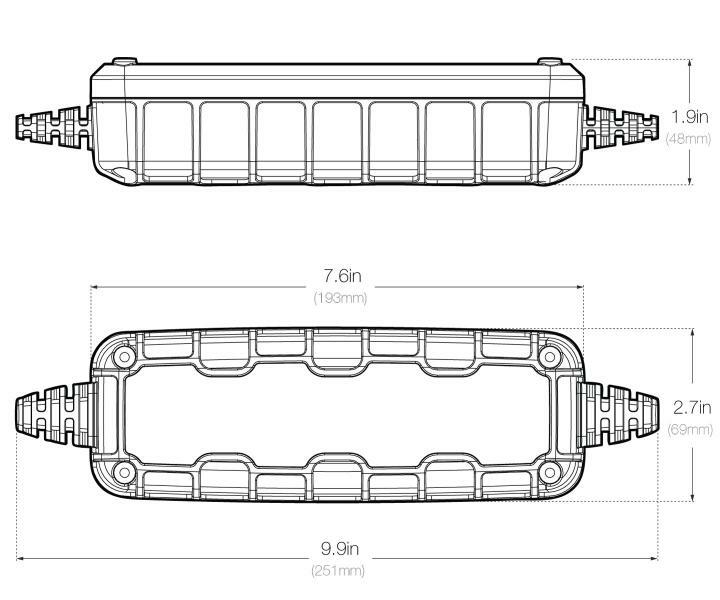 Permanently mount eyelet connectors on multiple vehicles to make hard-to-access batteries easy to charge. Charge directly through the 12V auxiliary or OBDII port from inside a vehicle, or just extend the reach of your accessories. Whatever the case may be, our interchangeable X-Connect battery accessories create a reliable weatherproof connection that not only provides maximum current flow, but also allows for fast and easy accessory changes. 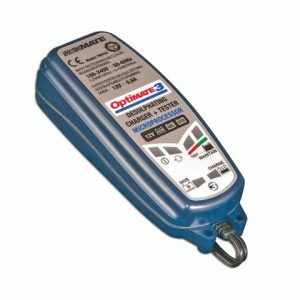 Ideal for Batteries up to 120 Amp-Hours. 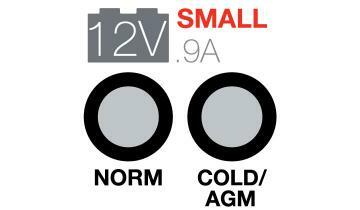 Suitable for Maintaining All Battery Sizes.